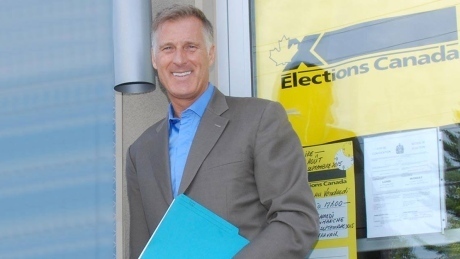 "Do like us and vote for Bernier — Maxime Bernier!" goes the song for the Conservative candidate in Quebec's Beauce riding. 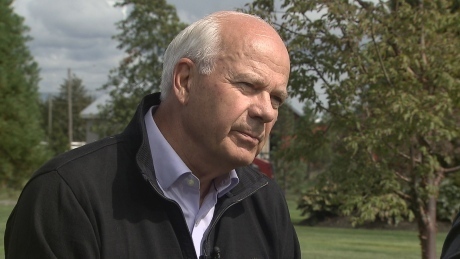 The Conservative election campaign was buoyed by news today that the government posted a nearly $2-billion surplus for the last fiscal year, but opponents say that was done by squeezing vital services for seniors and veterans. It was a political goal that actually has helped us slide into the recession that Canada is the only G7 country in right now. 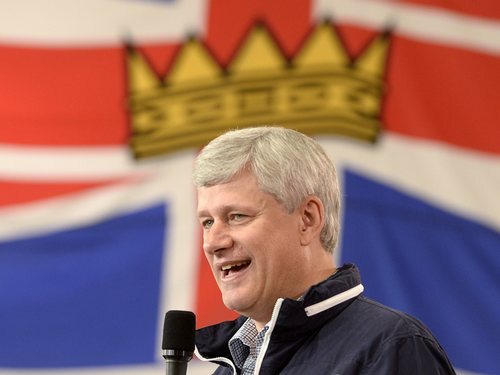 Conservative Leader Stephen Harper spoke today about his government's $1.9B surplus for the fiscal year. 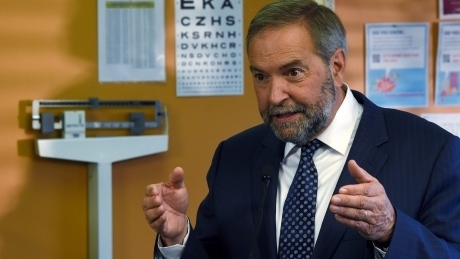 NDP Leader Tom Mulcair says a surplus gets the NDP off on the right foot. Our final proposal allows debate participants to speak in either official language when they want, and for as long as they want, throughout the debate. 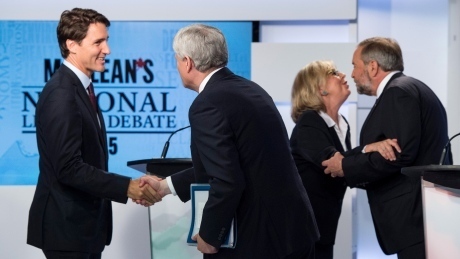 Organizers of the Munk Debate on Foreign Policy say that the three invited leaders will be able to speak in either French or English during the proceedings, after Liberals and NDP raise concerns about the format. 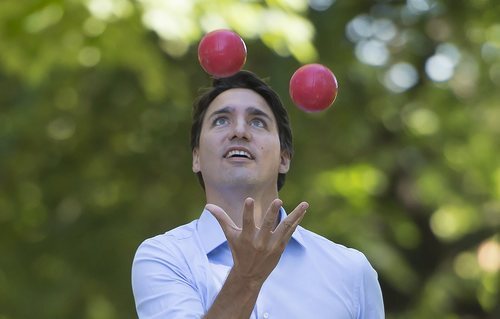 Liberal Leader Justin Trudeau brushes off the surplus. 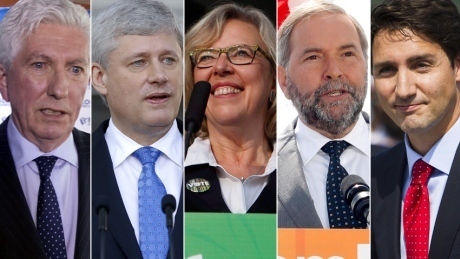 Comedian Steve Patterson watches and reviews Peter Mansbridge's interviews with the four main federal party leaders on CBC's The National so you don't have to (well, you still should). Here's what he found. 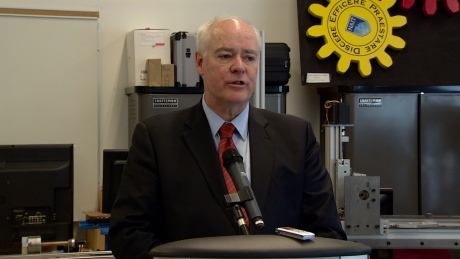 The Canadian Chamber of Commerce is calling on the federal parties to solve the gap between skills employees have and the ones employers need. 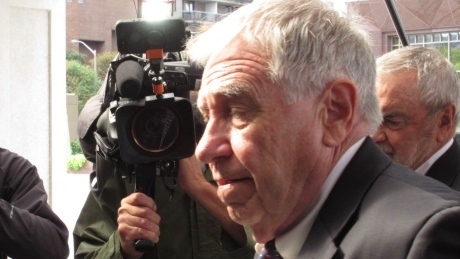 A former top aide to Prime Minister Stephen Harper stood to benefit from his alleged involvement in attempting to persuade the government to buy water purification systems from the company employing his girlfriend, a court heard Monday. It's all about a pretty girl. 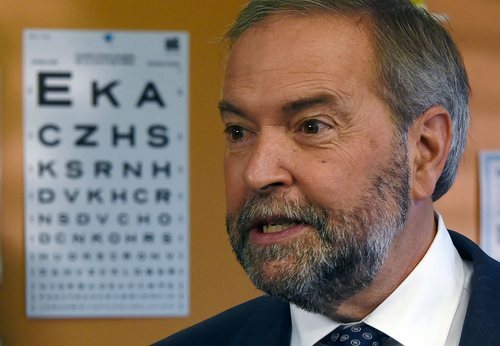 The NDP continued its push on health-care issues Monday, announcing that a New Democratic government would commit tens of millions to improving access to providers and developing a national Alzheimer's and dementia strategy. For a lot of voters, health care will be a defining issue in this election. 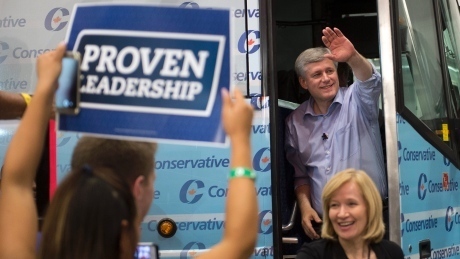 NDP plane takes off as Conservative plane arrives in Vancouver, from CBC's Hannah Thibedeau. 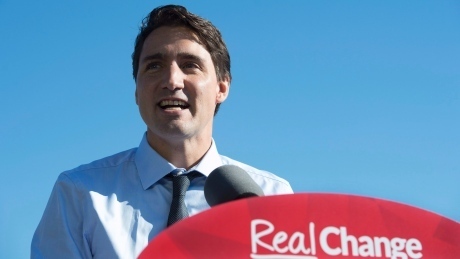 Liberal leader campaigns at a plumbing company in Waterloo, Ont. The federal party leaders are spread out across the country today as they begin to set their attention on Thursday night's economy-themed debate. Canadian attitudes to admitting more refugees largely break down along party lines, with those voters identifying as Liberal and NDP supporters most open to the idea, according to the latest results from Vote Compass. 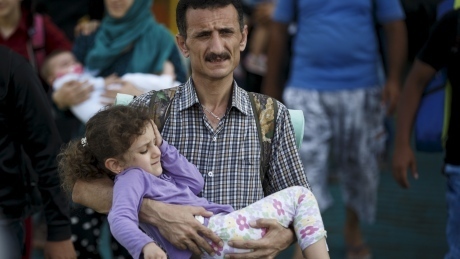 The very pointed discussion around refugees and terrorists is going to detract from any kind of positive sentiment towards resettling refugees. I believe, I think most Canadians believe, it is offensive that someone would hide their identity at the very moment they are committing to join the Canadian family. Arguments for the reinstatement of a ban on face coverings at citizenship ceremonies will be made this morning by lawyers for the Ministry of Citizenship and Immigration at the Federal Court of Appeal in Ottawa. 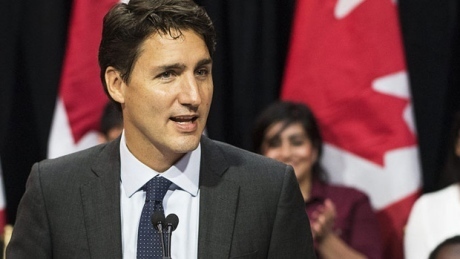 The Liberal Party would increase investments in job-training programs for people in skilled trades if it wins the Oct. 19 federal election, leader Justin Trudeau says.